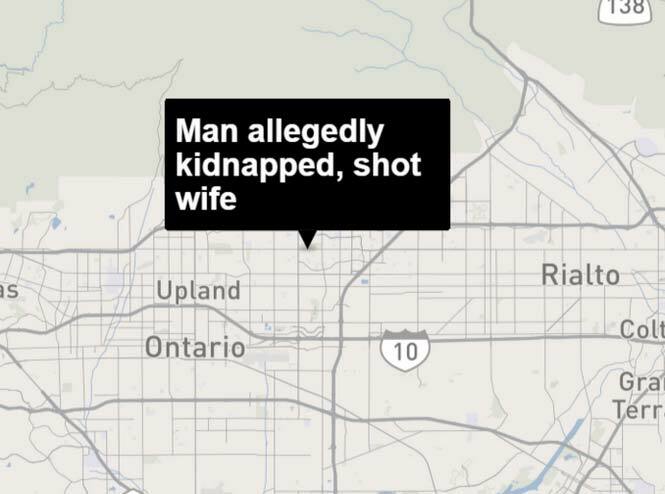 San Bernardino County sheriff’s deputies have arrested a Rancho Cucamonga man for allegedly shooting his wife in the chest and then holding her captive for nearly a month before she finally escaped this week. Michael Venegas, 37, is due in court Wednesday on suspicion of attempted murder, kidnapping and false imprisonment after a Sheriff’s Department SWAT team arrested him at his home Sunday night. According to investigators, on April 1 Venegas’ wife, 26, was packing up her belongings to leave their home in the 10800 block of Terra Vista Parkway after an argument when Venegas, who is in a wheelchair, rolled into the bedroom armed with a 9mm handgun and shot her in the chest. No one reported hearing a gunshot to authorities and no one reported Venegas’ wife missing, said Jodi Miller, a spokeswoman with the Sheriff’s Department. Over the next 26 days, the woman continued to take her son to school, Miller said. “She explained how she was in fear for her life, her son’s life, and her parents’ lives, and that was the reason why she did not try to escape from Venegas sooner,” officials said in a news statement.